Wow...time flies when you’re having fun! Today I have another card from the adorable Oakberry Lane to share with you. Instructions: Card is 4 1/4 x 5 1/2”. Cut black cardstock 5 1/2 x 8 1/5”and score and fold at 4 1/4” on the long side to create card base. Cut silver glitter cardstock 5 3/8 x 4 1/8”and adhere to the card base using dries clear adhesive. 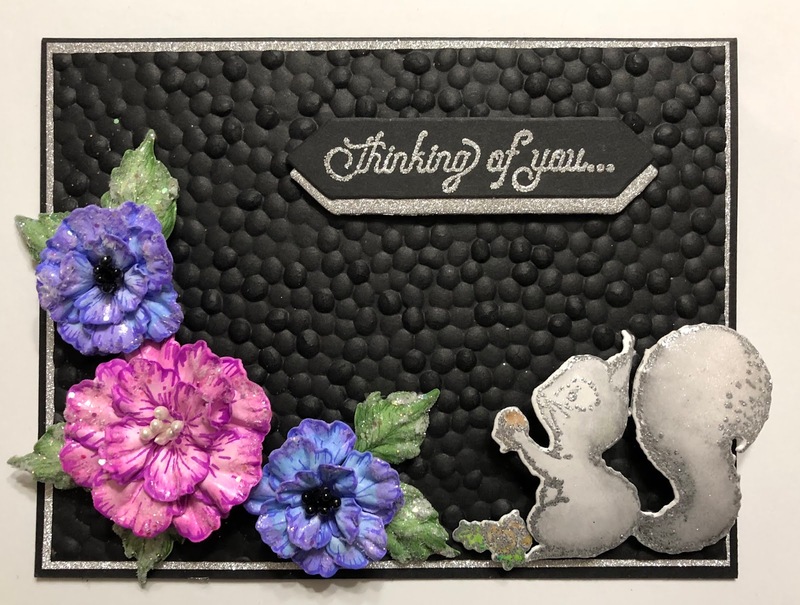 Cut black cardstock 4 x 5 1/4”, place in the Cobblestone embossing folder and run through the die cutting machine. 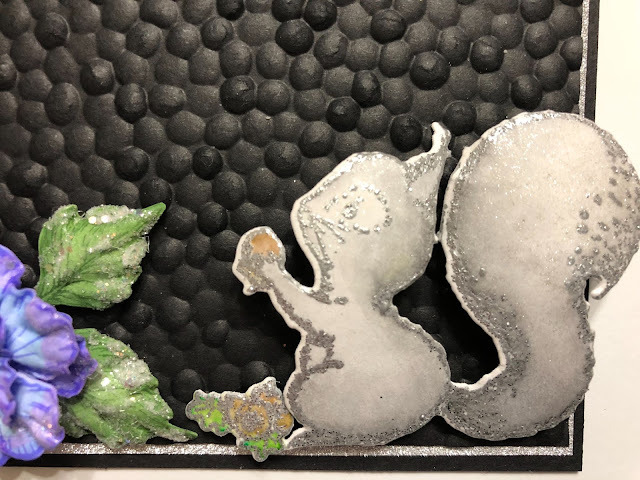 Adhere to the silver glitter mat layer using dries clear adhesive. 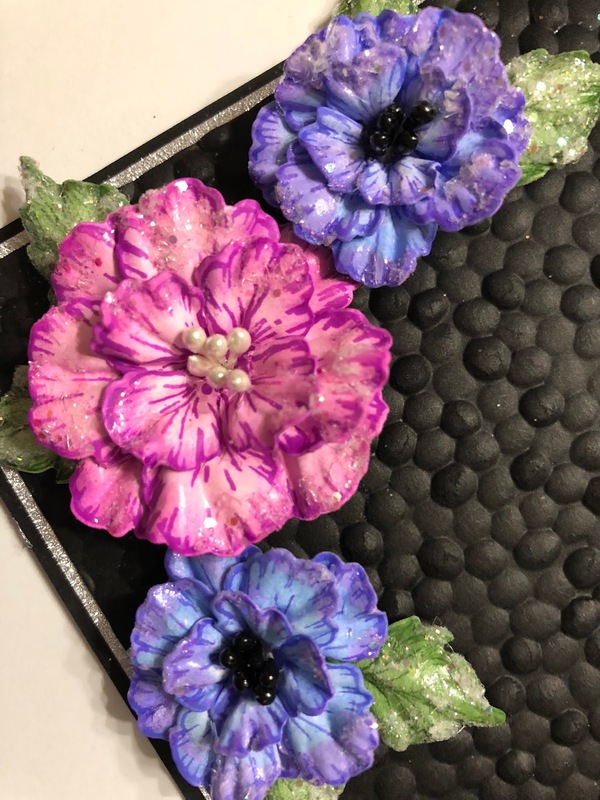 Be sure to stop by the Heartfelt Creations Blog...there are so many gorgeous projects created by the fabulous design team. Your flowers are gorgeous Janet! That little gray squirrel reminds me of our cute tree squirrels here! Beautiful card! What an adorable card Janet! I love how you've combined the embossing folder, it give so much dimension! The black background looks so beautiful against the white flowers . Loved it.